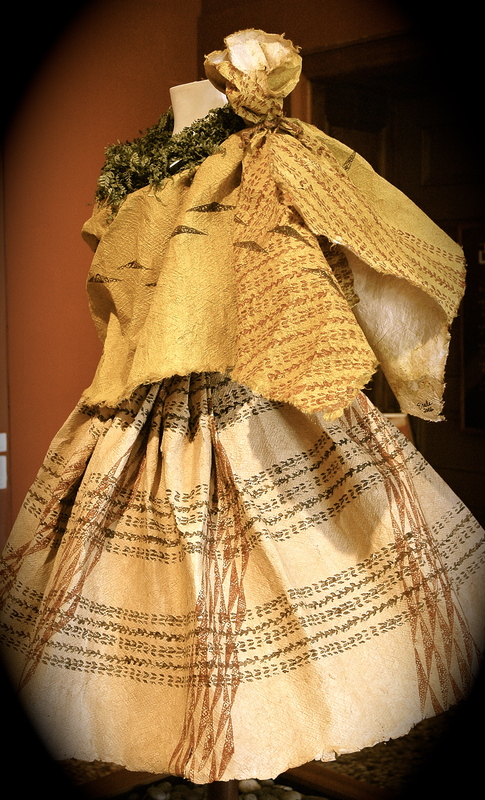 I totally forgot that I had these Kapa Dress photos that I had taken at the museum several years back. Unfortunately I’ve lost the name of the Kapa Maker. These are beautiful examples of Modern day Kapa done in the ancient style of Kapa Making. I don’t know why I did not include it in my Kapa Clothing piece. So here they are, better late then never. In the past there was a lot of debate about a planned community here in Hawaii not allowing a resident to erect a flag pole so that he could fly the American Flag. Much debate was going back and forth. Is it the fact that he wants to erect a flag pole or is it the flag that they don’t want to fly? What ever the problem, it made me think about the above quilt. 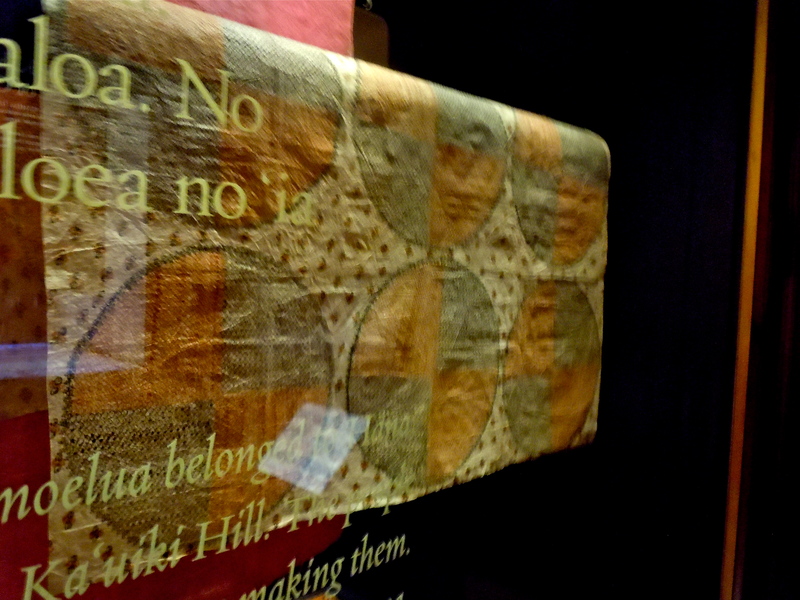 I’ve read that this quilt was sewn by or parts of it were sewn by Queen Liliuokalani while she was imprisoned in her palace. The Hawaiian flag was no longer allowed to be flown and the American flag was raised in it’s place. Many Hawaiians protested the fact that their flag was no longer able to fly and that they were aware that their islands were under attack. This quilt amply displays their feelings very well. If you look at the bottom of the quilt you will notice that the canton is in the upper left hand corner where it should be. But if you look at the four flags in the middle of the quilt you can see that the cantons are upside down, the international signal for distress. The flags are flying from Kapu (forbidden or do not go near) sticks that are placed in front of the crown. In ancient times these sticks would be staked in front of the Ali’is home. It was considered a protection for him. It meant that you were forbidden to enter. These Kapu sticks placed before the crown show that they are protecting their Queen. So the quilt is a protest of the flag not being flown, the Queen that is imprisoned and the nation that is under attack. Many of these quilts proliferated during these sad times made by women who wanted to put them above their beds so that they could say they slept under their flag and woke up under their flag. 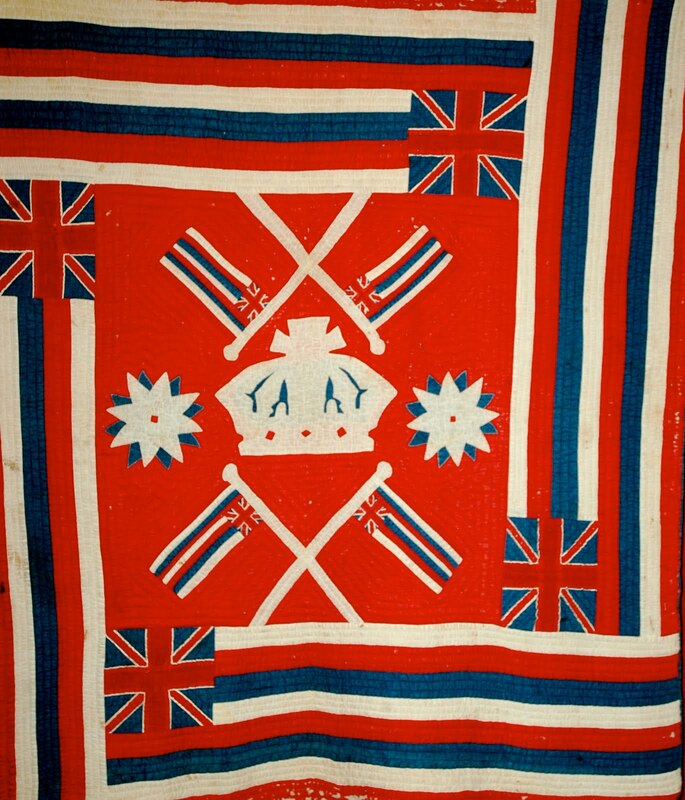 This flag quilt can be seen at the Bishop Museum along with some of the history of Queen Liliuokalani. When the temperatures drop here in the islands, and they do drop, I can go to my closet and pull out any warm item to put on. At night while walking the dogs I can look up into the cold, clear, crisp sky and pull the hood of my sweatshirt around my neck. On the Island of Hawaii, the one called the Big Island the temperatures can drop drastically. The ancient Hawaiians had houses made of grass, well made yes, but still when temperatures drop into the 40’s bringing wind and rain during the winter, you certainly need clothing to keep you warm. Not being able to run to Wal Mart to get warm pants for the kids, nor sheer sheep as they were non existent, what did the Hawaiians use? Trees! Can you imagine trying to keep your large family warm with clothing made from trees? This was the only option and the Hawaiians did it well. It was a family concern and everyone played their part. The tree that was favored for the clothing was called Wauke or paper Mulberry as is more commonly known elsewhere. The men planted it in groves. The children helped to pluck off any shoots from the trunk to keep it from branching. When the tree reached 6 to 12 feet in height or an inch in diameter, it was cut down and then the trunks were brought to the waiting women. They would then cut open the outer bark with an implement made from a sharks tooth, remove the inner bark and flatten it. This they did by coiling it inside out. Once flat they would then scrape off any remaining outer bark or they may choose to soak the fiber and remove it that way. To get the fibers to felt together they would pound them on a stone while one of the young girls would continue to supply water from a stream for their mother to sprinkle while pounding. Then the fiber was rolled into coils and soaked for several days. Once the soaking was done the fibers were laid flat and piled in mounds and dampened again and weighed down with stones to soften the fiber further. 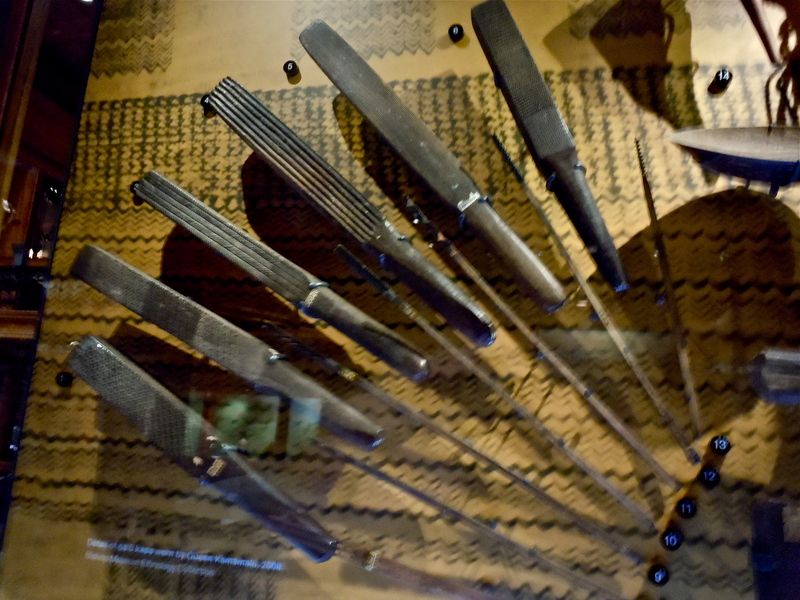 Then they were pounded out one last time on a wooden anvil with a four sided wooden beater. 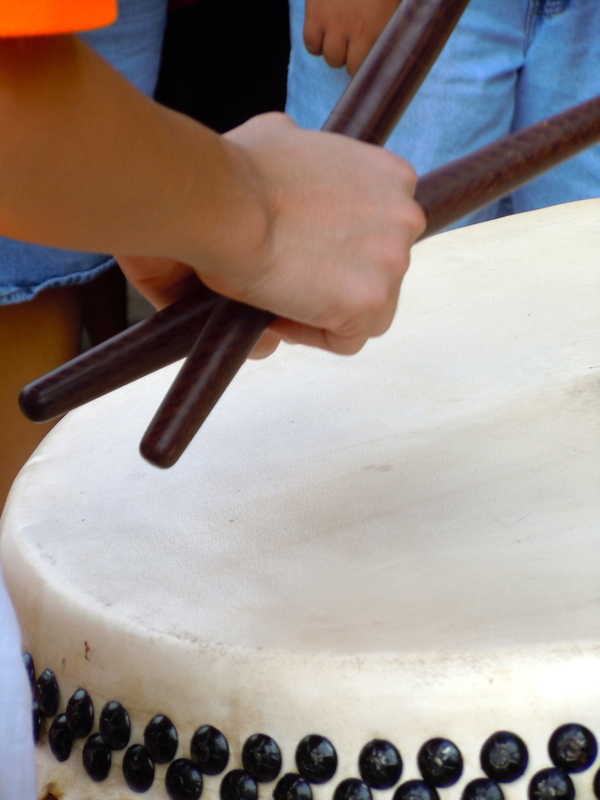 The deep groove of one side was used first. The lesser grooves were then used and last the side with the patterns were pounded in. After the pounding was done which took a day, the kapa was then laid out to dry. It then could be dyed or a designe could be printed on it. I’ve been told that not all of it was decorated. And who could blame the mother with a tribe of kids to clothe if she didn’t feel like going that extra step. 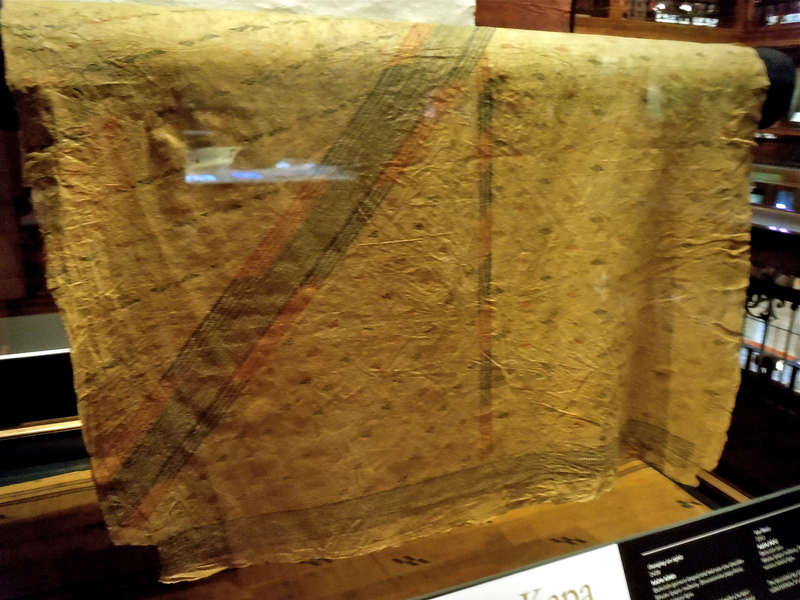 The Kapa could be oiled with Kukui nut oil to make it water repellent or sometimes it was embossed to give it extra strength. 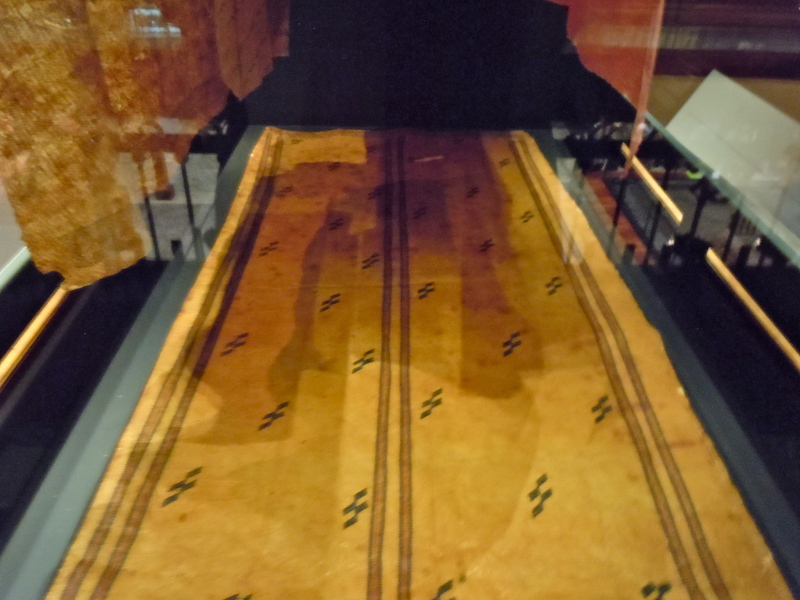 Kapa was used as shawls, bedspreads, (several on a bed) wrap babies in, malos for the men to wear or skirts called pau or used as clothing warn in hula. Colors were many. There was pink, red, yellow, black, green, and pale blue. These were taken from a variety of plants and trees. I’ve been asked many times what does the Kapa feel like? We used to have a piece that was over 100 years old that we used for our tours. 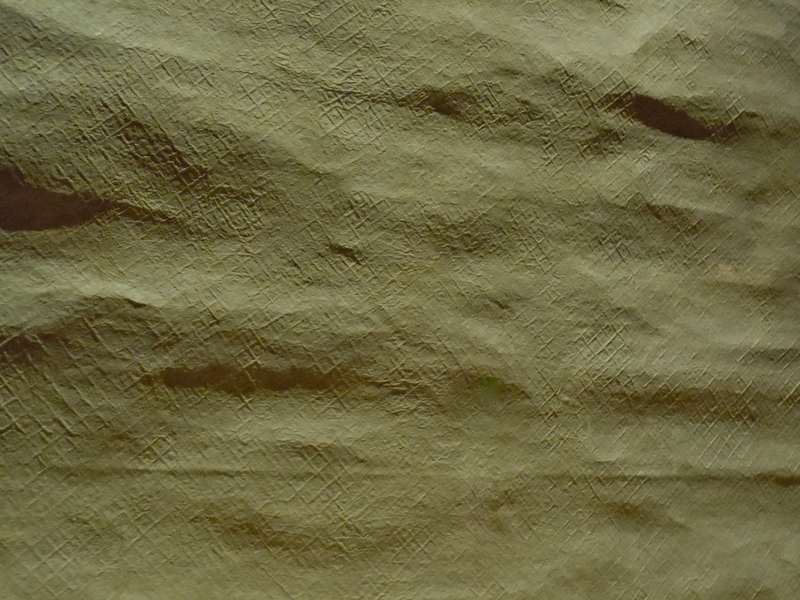 It was as soft as cheesecloth and just the fact that it was that old attest to it’s durability. There were other ways of staying warm I’m sure among them Ti leaf capes and fires and I really don’t know what else but the beauty and funcionality of this cloth speaks to the talents of the ancient kanaka maoli. If you would like to read a little more on the making of Kapa, I found a nice site called Kapa Making and processing please check it out. If you would like to read an informative little boon on Kapa I got some of my information from “The Ancient Hawaiians” by Margaret Titcomb. 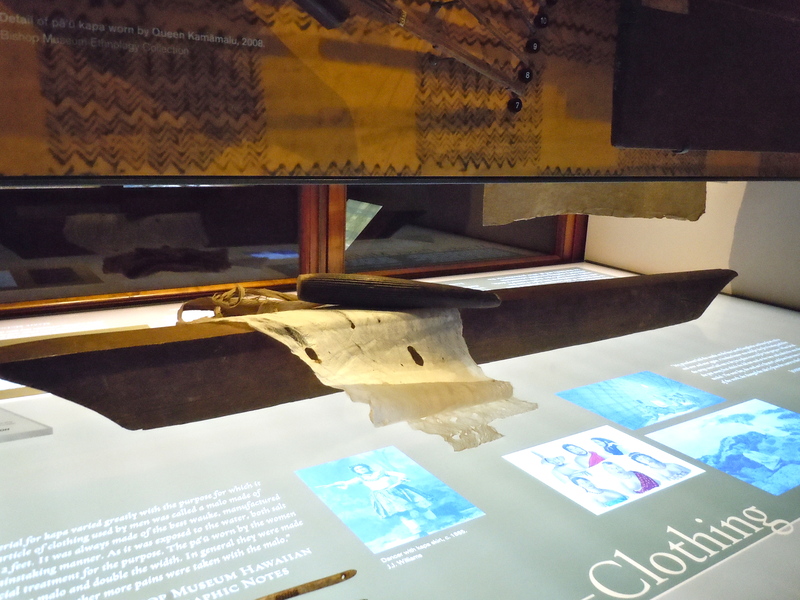 If you would like to see the real artifact please stop by Bishop Museum. I am always open to added information and if you have any corrections or antidotes I’d be happy to hear from you. The center of the island. 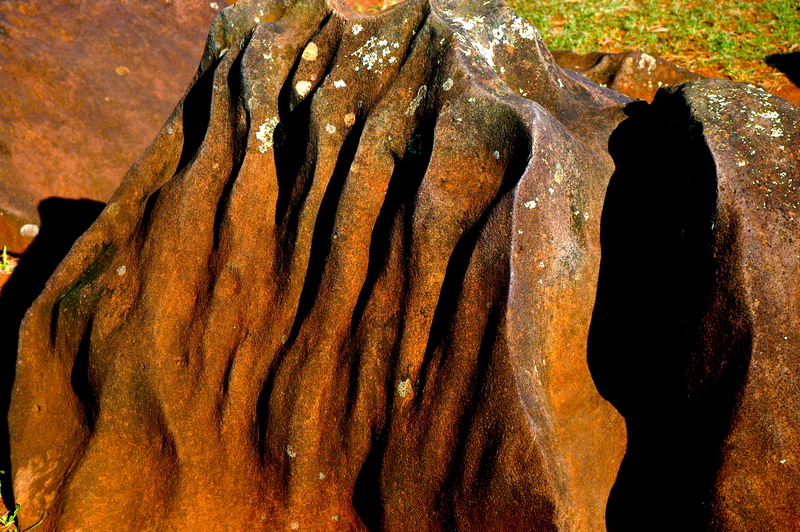 Kukaniloko is a sacred area where it is said great chiefs are born. Mana, or power, energy, spiritual strength, emanates throughout the area. 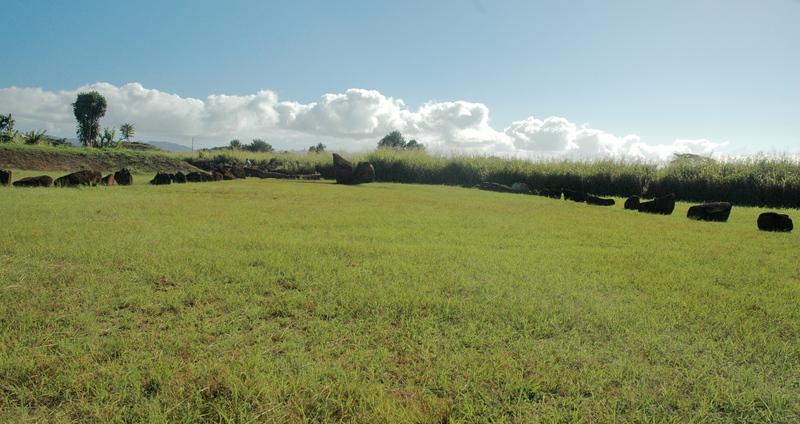 Thousands of the commoners will be lined up in the distance waiting for the deep sound of the two pa’u drums to echo its announcement of a new chief”s birth. Thirty six large stones placed in two rows, eighteen on the left and eighteen on the right, are flanked by thirty six chiefs who are in line with them. They are there to give testimony to the new alii‘s arrival in this very spot at the moment of birth. Having no written language these chiefs will be witness to the fact that the child is of royal birth and pledge their support. The alii’s wife is carried in on a fine woven mat by her retainers. She is brought to one of the birthing stones and placed above it. Her retainers will place their feet into the indention’s of the stone and the pregnant woman will sit on her retainers hips so as to not touch the ground. A kahuna (Priest) will stand behind her and one will stand in front to catch the child as it is born. A piece of sharp bamboo is prepared to cut the umbilical cord from the mother. Once the child’s cord is cut from her, the child is whisked away by forty eight chiefs who will perform the ceremony of cutting the naval cord from the child. Be it a male or female, both were recognized as chiefs divine and treated as such. With such a history you would think that this area would be treated with the utmost respect and attention. But for many years it sat neglected because of problems with surrounding areas being used for growing crops for mainland landowners. I remember visiting Kukaniloko many years ago for the first time and seeing weeds growing high and stones hidden between them. You could pretty much drive your car right over the area where once only alii could step foot on. It was very sad to see and I couldn’t understand why it had been so neglected. 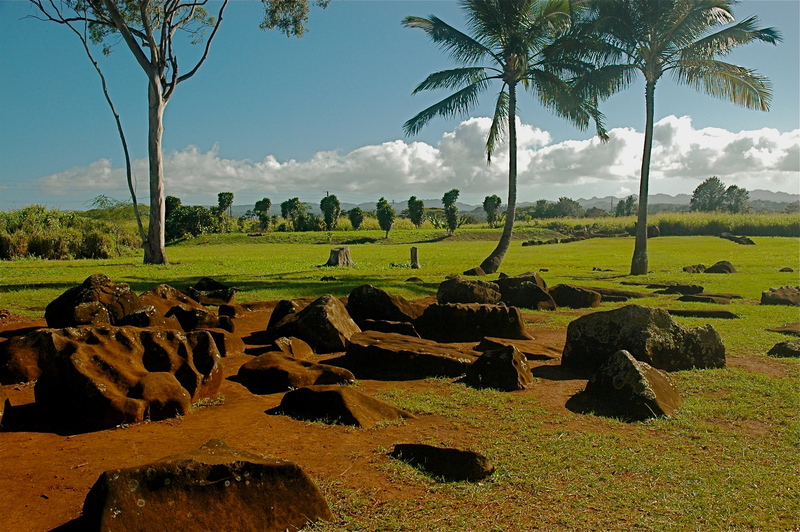 Last month as I was reading a wonderful book called “Sites Of Oahu” by Sterling and Summers, I was once again introduced to the history of this area. With a little background of what the area meant to the Hawaiian people and inspiration from the book I decided to go out their and check it out. To my surprise much had changed. First of all the ability to drive right over the sacred ground was not there. Instead there was a very small area to park a couple of cars behind a chained off area. You now had to walk about a city block to get to it. As I approached the site, off to my left was a man weed whacking the side of a small mound. I felt I was in luck as I still had some questions about the area and hoped maybe he could answer them. 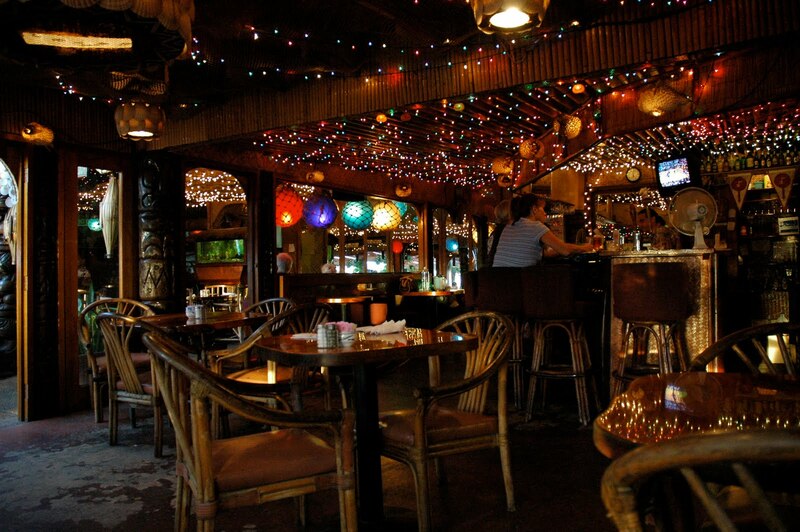 He was a thin tanned part Hawaiian who looked at me with half disdain as I started to talk. I had seen this look many times on Hawaiian people when approached on their turf because of people trying to crowd in on what was once their land. Once we got into conversation though he softened up when he realized that I did have some idea of what I was talking about and I was respectful of the area I wanted information about. As it turned out, his family (I’m thinking maybe it was more like his Ohana or extended family) was a part of Kukaniloko and had for years tried to bring it back to it’s original condition to give it the respect that it deserved. But the people who were working the land (and there is some argument that it does not belong to anyone but the Hawaiian people) refused to let them take care of it. Now that the cane and pineapple are no longer grown and the land is up for sale (even though there is no proof that it belongs to those farmers) this group of Hawaiians have gotten together and have brought the area back to the manicured and beautiful condition that I saw that day. 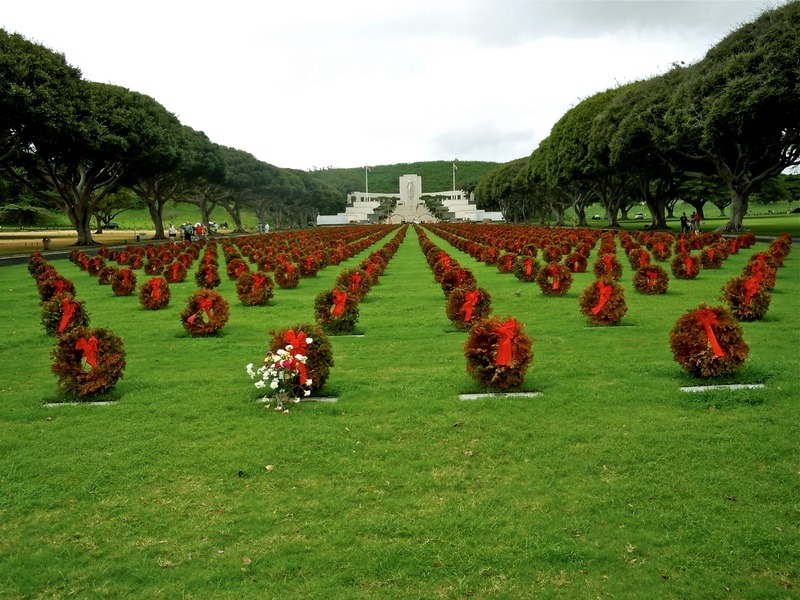 The one complaint that the Hawaiian had as we talked was that no children were being brought out to be taught how important and sacred this place was. I remarked with the developing of Hawaiian immersion programs maybe more children will be visiting and learning about it. 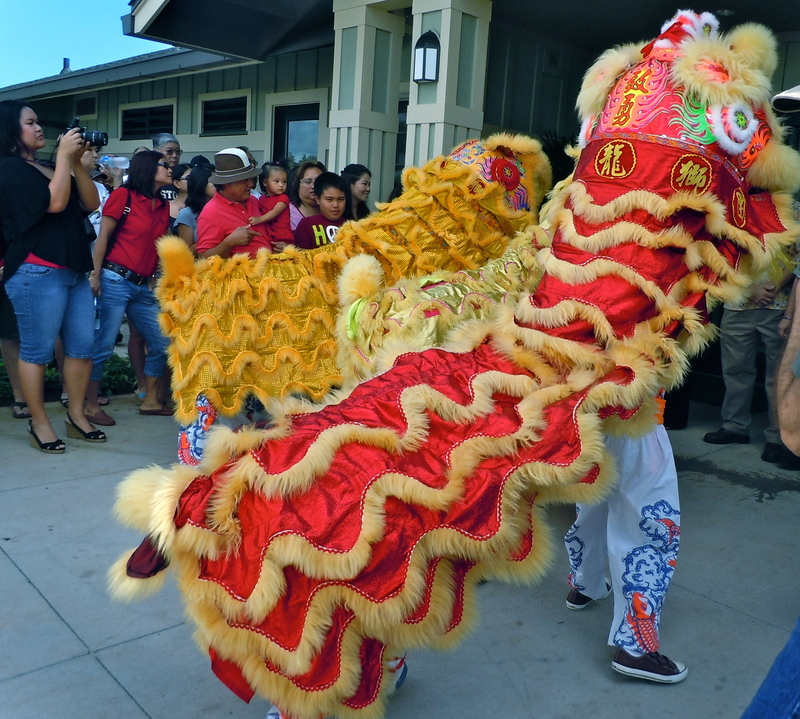 And just as we were finishing up our conversation a group of teens with a young woman leading them came up to the entrance where we stood and as they stood their she began to chant a Hawaiian greeting to the area before they entered. The Hawaiian had a big smile on his face as he called out aloha to the woman and the kids. And of course I couldn’t have been more happy to see it happen myself. Now, I have set out here the sacredness and importance of this area. I have also stated what has happened to it. A very important part of the Hawaiian Culture is once again being fought over because of the states refusal to recognize what was rightfully the Hawaiians. Who, in the experience I’d just had deserved the Aloha? How would you react if you had been greeted as I was. Who should be offended? Personally, I am thankful that I’ve been volunteering at Bishop Museum. It has forced me to do much research on the history of the Hawaiian people and I’ve become much more aware of who I am and who they are. If I was not greeted with a big Aloha, I am not offended at all. 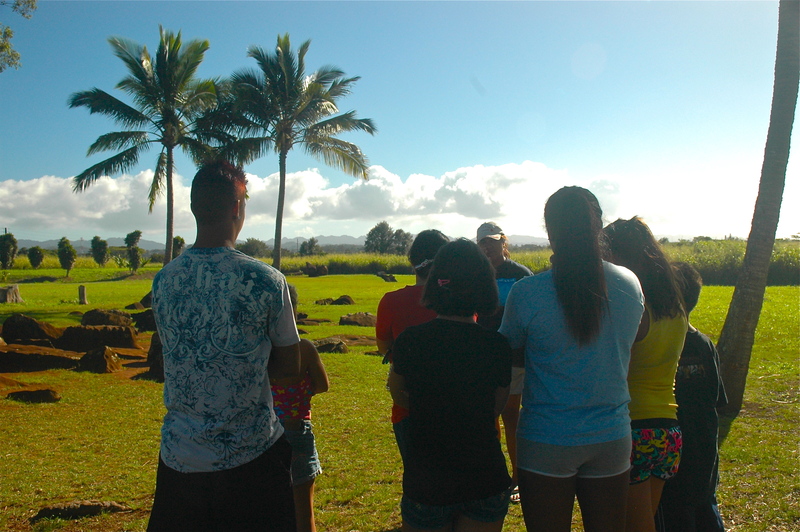 There was much aloha there with the work that was being done on the area, the time that was put into bringing it back to it’s original condition and most of all making children aware of what their ancestors believed. 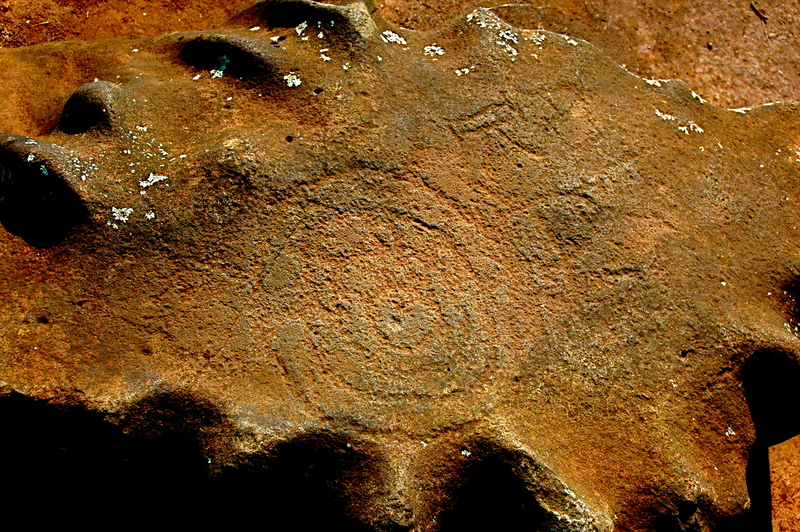 Here is a web site that has very interesting information on the process of the birth and information on the site of Kukaniloko. I was able to get more of a picture of the birth to use here in my post from it. Cultural Significance. If you would like to read a great book on the sites of Oahu, once again here is the title of the one I used. “Sites of Oahu” by Sterling and Summers. 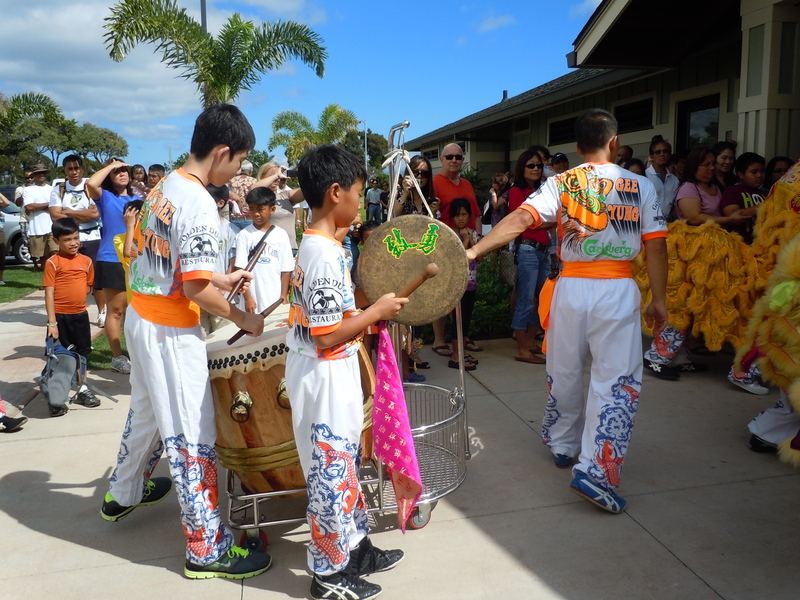 On Saturday, the 15th Of January our community dedicated the new community center at the Kunia park. 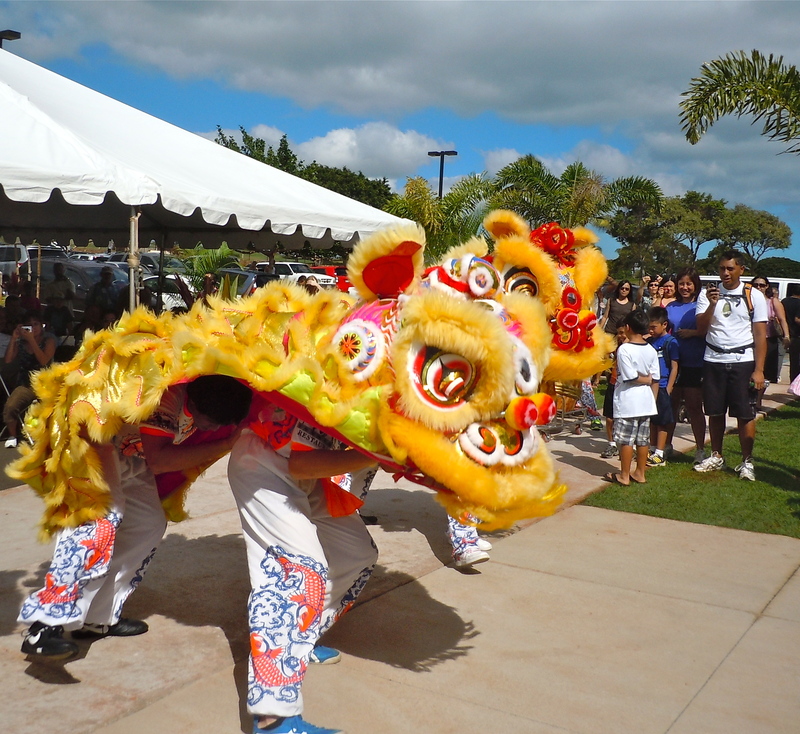 In Hawaii it is customary to have a Hawaiian blessing and, more often then not, a Chinese Lion Dance. So many in the area showed up for the festivities and quite a banquet of food. Here are some of the highlights from that day. 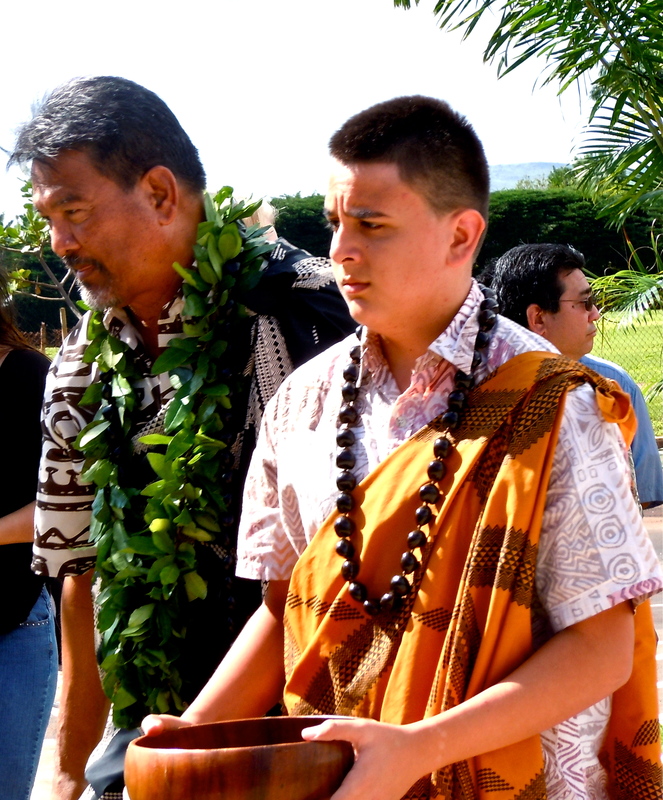 The Kahu who is draped in a Maile lei along with his sons gave the blessing. 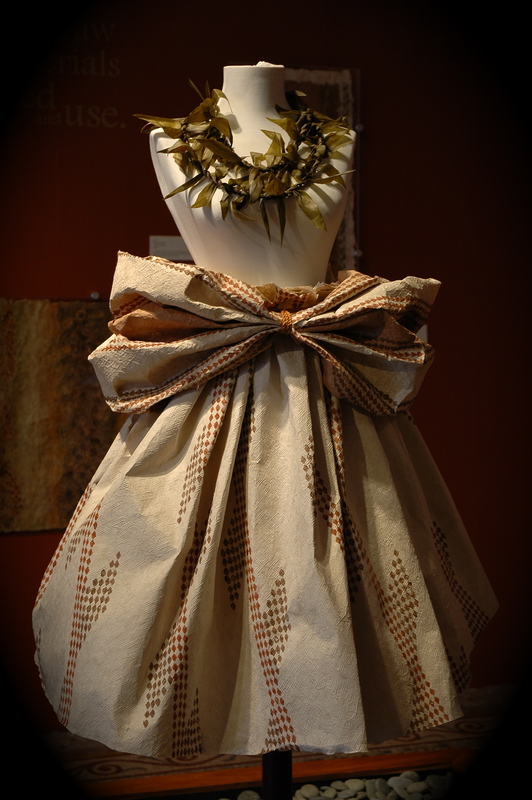 The Maile is one of the oldest form of lei. It has a wonderful light fragrant smell that last for days. It is draped around the neck horseshoe fashon. 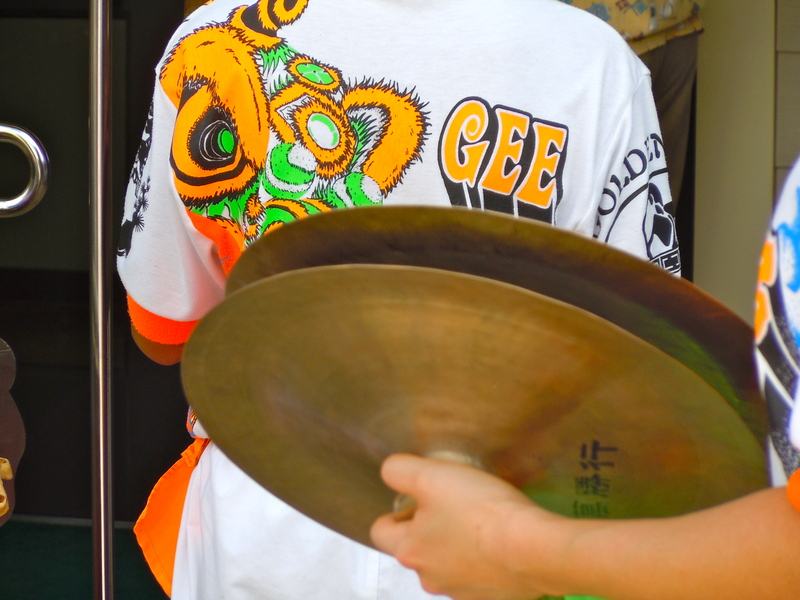 It is worn quite often by hula dancers. The leaf is a member of the periwinkle family. Before anyone can go into the new center the Kahu will sprinkle water around the area and inside of the center with a ti leaf. Ti leaves have been used from ancient times for wrapping food, used as a dish, or even warmed and put on the forehead to help dispel a headache. They even made rain capes from them because of its ability to resist water. But in the instance of the blessing the ancient Hawaiians used Ti to attract the good and stave off the bad. You will often see fans at a football game waving the ti leaf to bring good luck to their team. 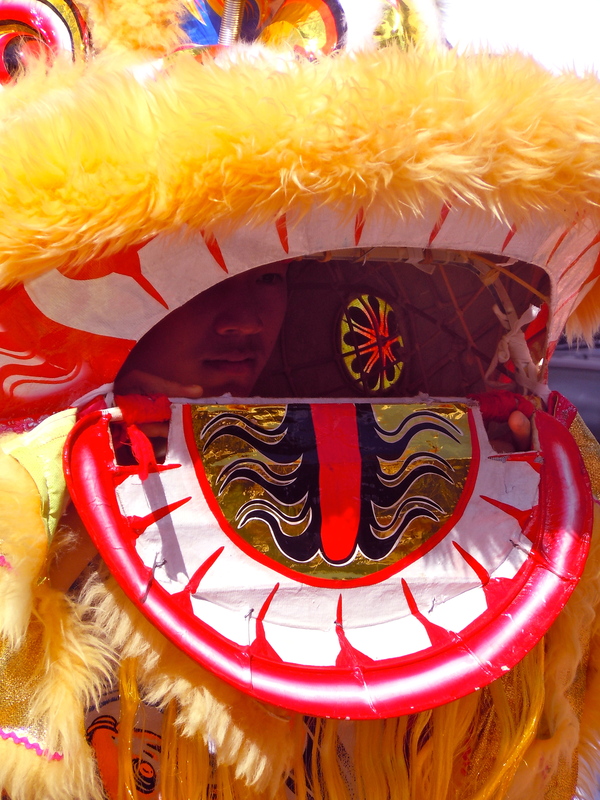 The biggest attraction at any of these events is the Lion dance. 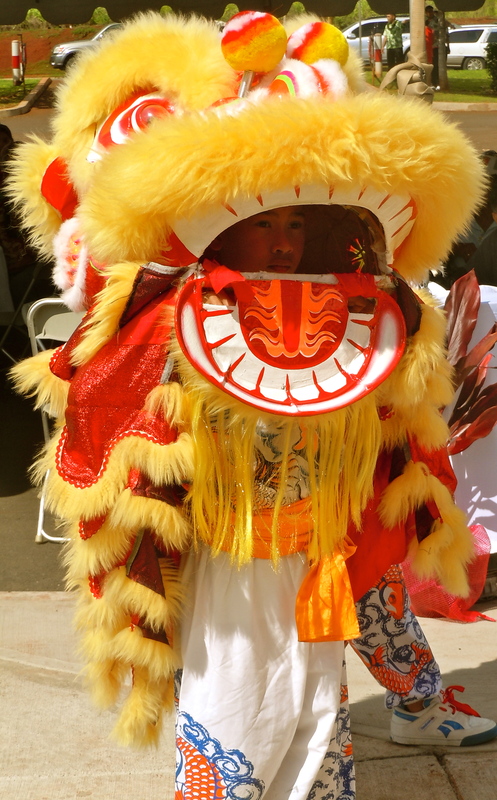 Young children or young adults perform under these Lion costumes. The lions approach the people. As the lion comes close he will open his mouth and the people will feed it money. 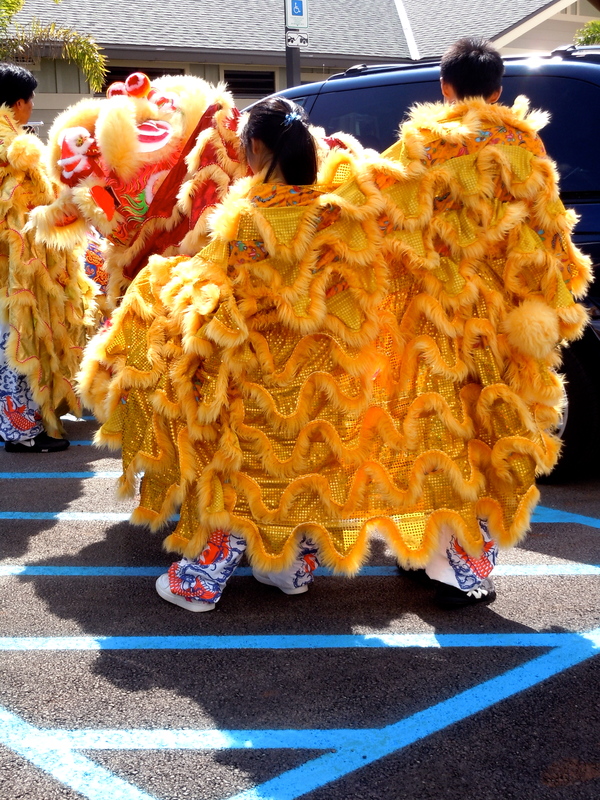 This is thought to bring good luck and also helps out the club who is giving the dance. There are many different types of moves that the Lion Makes. Some dances are very rigorous and include high kicks, jumps and dips. After the blessing and the dance we all went into the new center. There was quite a buffet set up with different types of sushi, chicken, hot dogs, rice, noodles, pot stickers, lumpia and all types of desserts. Everyone had a great time. I even ended up volunteering to serve on a committee to set up craft classes. 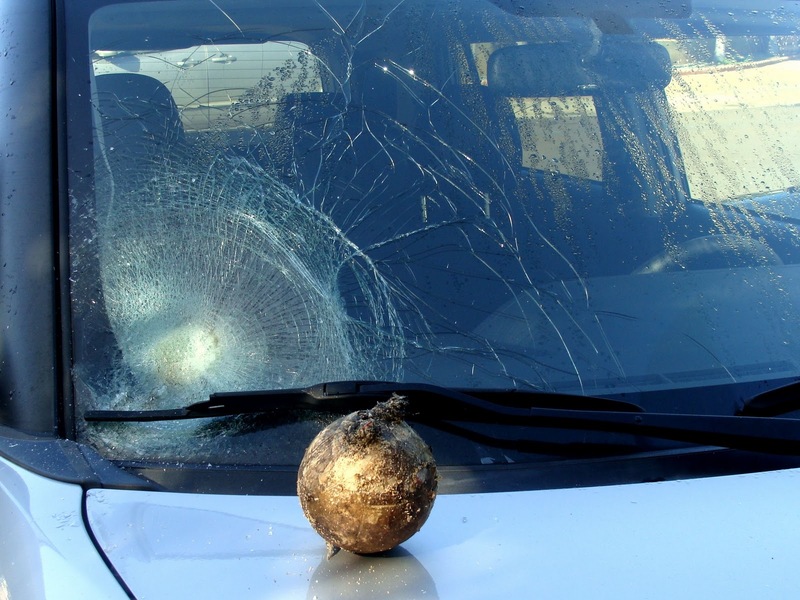 Last year, January 1, 2010 the windshield of my son in laws car was blown up. As I swept up the fireworks that morning I picked up a large round orb the size of a tennis ball on steroids off the ground. It weighed about 4 pounds. Tossing the thing into the garbage can I went back to sweeping around my son in laws car. Then he came out and panicked. “What the hell happened to my car?” he yelled as he grabbed his hair and pulled on it. It was then when I looked at his windshield that I noticed a round indention. Quickly I pulled the orb out of the garbage can and showed it to him. It fit the indention on the windshield. My son in law informed me that what I had so nonchalantly tossed into the garbage was an unexploded aerial bomb from the night before. These are the ones that you see brake out into all sorts of explosions in the air at fireworks displays. That pretty much sums up what our New Years Eve is like every year in Hawaii. 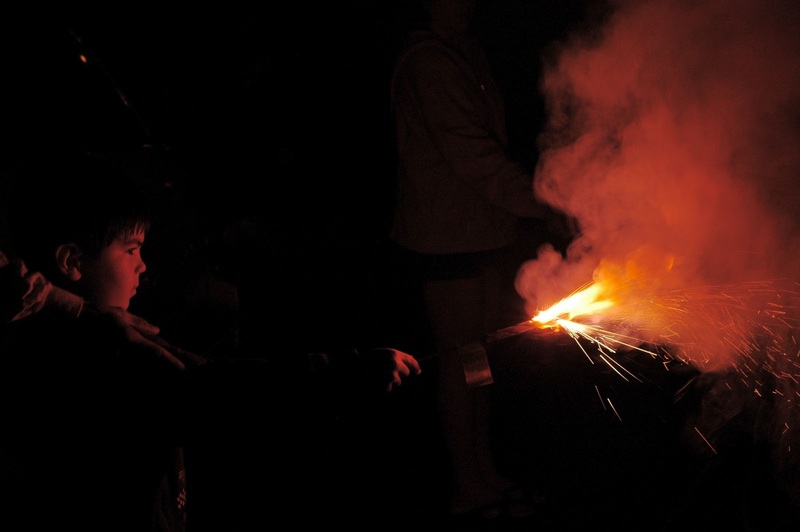 People are not happy with blowing up packs of a thousand firecrackers or all of the less harmless explosives that are permissible. 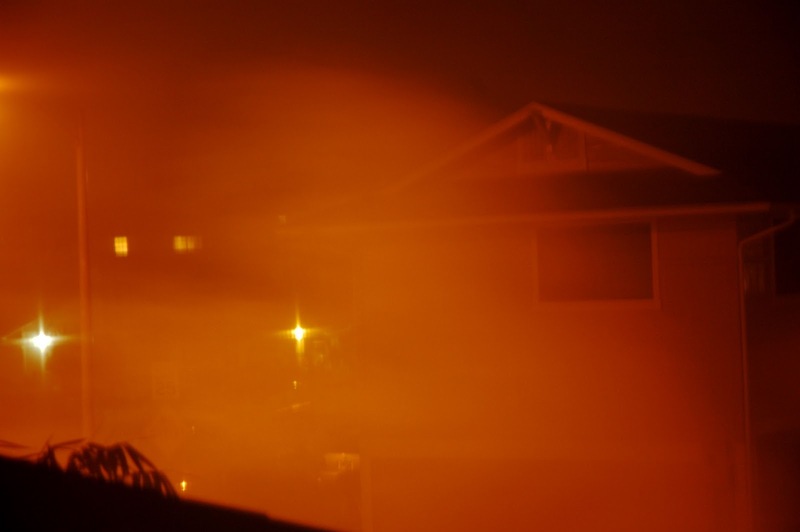 If you have any type of breathing issues you have to lock yourself into the house and hopefully have air conditioning so that you don’t have to breath in all the smoke. At last the law has finely passed banning illeagal fire works and just about all of the legal ones too. Now I ask you. 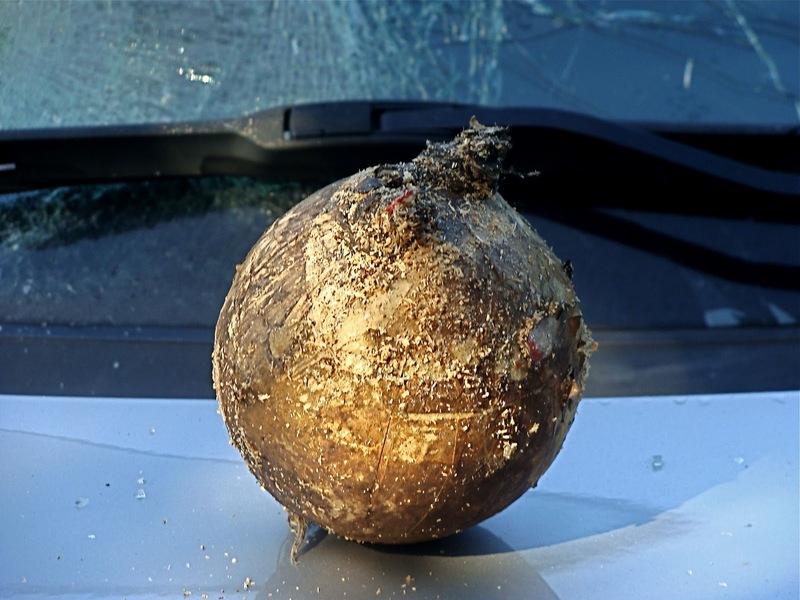 If the people who are blowing up illeagal fireworks when it is legal to burn small firecrackers sparklers etc? What will stop them from setting them off just because it is now illeagal to burn just about all fireworks? The airial bombs going off this year lit up my bedroom window, set off car alarms and shook the whole house. I had a private fireworks display right from my bed the airials were so close. If the police can’t control it at this point how will they do it next year? And why do smaller fireworks have to be banned? Somehow the illegal bombs have to be stopped. Neighbors who see who the culprits are have to report them. That is the only way houses will be safe from burning down, or injuries and damage to property stop. On our street the houses are so close together you can see what your neighbors are eating for dinner without even going over. Someone has to be able to see the people who are trying to terrorize the neighborhood. 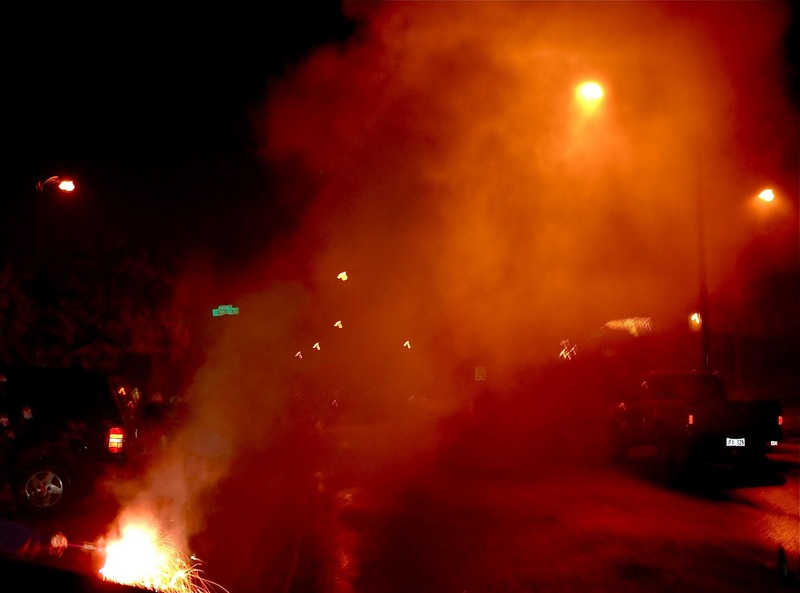 The exciting tradition of setting off fireworks on New Years Eve has been ruined. And as usual it only takes a few to ruin it for the many. And I believe that unfortunately, the lawbreakers are the only ones who will be lighting up the New Year from now on.